anxiety and overall mental health. * Unlike pharmaceutical drugs with harmful side effects, studies have shown the ingredients used in PEACEFUL MIND™ have no side effects, are non-addictive, can be taken long-term and are 100% natural and safe. * There is NO other product with a higher potency from a commercial source. Contains powerful antioxidants and cancer fighting Secoisolariciresinol Glucoside (SDG), 17 other powerful lignans, high levels of Omega-3s and pure Turmeric Extract (95% HPLC) which studies have shown help support overall balance of emotions and mood. * Our source of ingredients are the only product that has been mechanically separated without heat, chemicals, or solvents and maintains the richest source of SDG unlike ground, whole, or Flax oil. * (For example, you would need to take an enormous amount of flax and turmeric to equal this concentrate found only in our products. *) With our highly concentrated ingredients, research institutions such as Harvard Medical and the Mayo Clinic have found equal effects to prescription drugs such as Prozac™ without the adverse effects. * It's time for a NATURAL alternative to help give you a calm & PEACEFUL MIND™. - According to depression statistics from the Centers for Disease Control and Prevention (CDC), about 9 percent of adult Americans have feelings of hopelessness, despondency, and/or guilt that generate a diagnosis of depression. In fact, major depression is the leading cause of disability for Americans between the ages of 15 and 44, according to the CDC. - Anxiety disorders cost the U.S. more than $42 BILLION a year, almost one-third of the country's $148 billion total mental health bill, according to "The Economic Burden of Anxiety Disorders," a study commissioned by ADAA (The Journal of Clinical Psychiatry, 60(7), July 1999). - Nearly 30,000 Americans commit suicide every year Suicide is the 10th leading cause of death in the US, Suicide is the 3rd leading cause of death for 15 to 24-year-olds, Suicide is the 2nd leading cause of death for 24 to 35-year-olds. On average, 1 person commits suicide every 16.2 minutes. - The World Health Organization (WHO) estimates that each year approximately one million people die from suicide globally or one death every 40 seconds. It is predicted that by 2020 the rate of death will increase to one every 20 seconds. - According to a report by the National Center for Health Statistics (NCHS), the rate of antidepressant use in this country among teens and adults (people ages 12 and older) increased by almost 400% in 20 years. Most of the lignans in flax seed are located in the hull that encased the seed. Our product contains only pure organic flax hulls, which have been mechanically separated from the flax seed. The resulting product is said to contain 70 times the amount of SDG lignans per gram as compared to the traditional ground up seed. Studies have shown these SDG lignans to be effective in a variety of health complications. 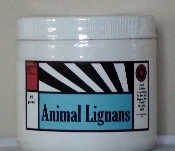 Much extensive study has been done on the effects of flax lignans on certain diseases such as Prostate cancer, Skin cancer, Melanoma, Diabetes, Lupus and many more. Being Phytoestrogens, SDG lignans have also been reported to be effective in balancing hormone related problems in women. These have included breast tenderness, sweating, vaginal dryness, bloating, hot flashes and uneven menstrual cycles and PMS symptoms. Consult your physician before taking any dietary supplement especially if pregnant, nursing, or taking other medications. These statements have not been evaluated by the FDA. This product is not intended to diagnose, treat, cure or prevent any disease. Do not take if tamper proof seal is broken. Keep out of the reach of kids.